In the early days of Donald Trump’s presidency, the Trump administration is facing vehement allegations relating to its ever-increasing ties to Russia — and these charges are gaining momentum. Russian hackers. WikiLeaks. Collusion. Treason. These are merely a few of the terms prevalent in the international conversation surrounding the 45th president of the United States. Meanwhile, Democrats and Republicans continue to thrust accusations of “playing politics” across the aisle as concerns of both alleged Russian attempts to interfere in the 2016 elections and President Donald Trump’s associates’ collusions with Moscow are unearthed. As a result, the House Intelligence Committee risks splintering down partisan lines. Most recently, The Washington Post revealed that Erik Prince, the founder of Blackwater — a private military company and security firm, now called Academi — and younger brother of Betsy DeVos, President Trump’s Secretary of Education, met secretly with a Russian close to Russian President Vladimir Putin in an arrangement facilitated by the United Arab Emirates. This meeting occurred on the island of Seychelles around January 11, or nine days prior to Donald Trump’s inauguration, according to U.S., European and Arab officials. It was an attempt to establish a back-channel line of communication between Moscow and then President-elect Donald Trump, according to officials. This development is only the latest in an ongoing and developing series of events that possibly led to Russian tampering in the 2016 U.S. presidential elections and collusion between the Trump administration and Moscow. WHAT NEXT FOR U.S.-RUSSIA RELATIONS? In a New York Times op-ed, journalist Frank Bruni suggests that the strike is a successful foil to a scandal that has eclipsed many of the administration’s other missteps. It’s impossible to ignore the degree to which the military strike pushes a slew of unflattering stories about the Trump administration — its failed attempt to undo Obamacare, the feuding within its ranks and, above all, the probes into possible collusion between Trump’s associates and the Russian government — to the side of the page. Nothing drowns out scandal like the fire and fury of 59 Tomahawk cruise missiles. The notion that military action salvages a president on the defensive, boldly underscoring his role as commander in chief, is nothing new. But there’s a fresh wrinkle in this case, because those bombs put Trump at particular odds with Russia at a moment when there’s enormous advantage in that. Below is a list of those involved in the Russian probe with accompanying descriptions of how they relate to these events. James Comey is the FBI director who in late 2016 received heavy criticism from both Democrats and Republicans for his handling of the investigation into Secretary Hillary Clinton’s use of a private email server during her time as Secretary of State. In a shocking testimony to the House Intelligence Committee, Comey revealed last week that the FBI was investigating Russian hacking and involvement in the 2016 elections, as well as collusion between Trump and Moscow. Mike Rogers is a controversial figure in that while he was a top candidate for promotion to the position of Director of National Intelligence under then-President-elect Trump, he was simultaneously facing removal from his role as director of the National Security Agency (NSA) by then-President Barack Obama. He remained director of the NSA under President Trump, even as he testifies before Congress as an authority on cyber security and its relationship to Russian hacking. Rogers joined James Comey last week in debunking President Trump’s claim that then-President Obama wiretapped Trump Tower during Trump’s run for president. 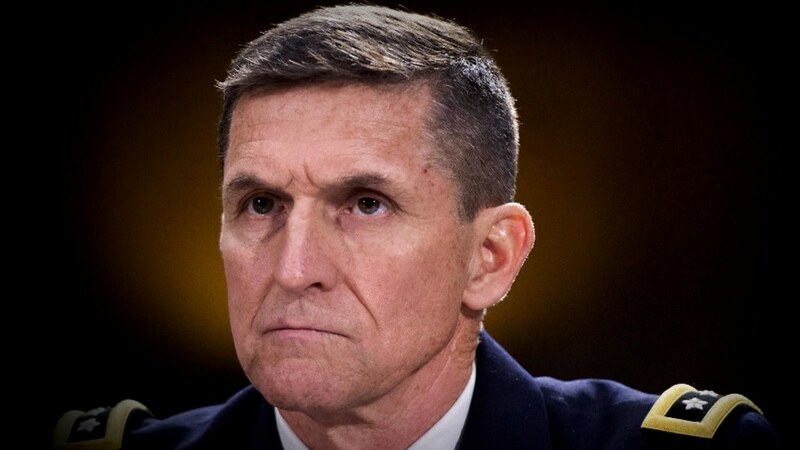 Michael Flynn was evicted from his position as the director of the Defense Intelligence Agency in the Pentagon under President Obama, back in 2014. Flynn believes he was pushed out for his vigilance toward Islamic terrorism, but four U.S. officials serving at the time Flynn said he was fired told reporters it was because he managed the agency controversially. Flynn was an early supporter of Donald Trump’s presidential campaign, as well as an outspoken critic of Democrats in Washington. President-elect Trump named him national security adviser. He resigned shortly after accepting the position when he acknowledged that he misled Vice President Mike Pence on the nature of his communications with Sergey Kislyak, the Russian ambassador to the United States. Originally, he denied that they had discussed sanctions imposed by the Obama administration. In fact, he did violate the Logan Act. However, the Logan Act has never been used in a prosecution, and the FBI has stated it does not intend to charge Flynn for his actions. Additionally, Flynn has numerous financial ties to Russia and other foreign countries, and there is e-mail evidence that Flynn was paid by a state-run Russian television outlet, which he initially denied. Carter Page worked as an investment banker at Merrill Lynch for seven years, which involved work in London, New York and Moscow for three years during the mid-2000s. In 2016, Trump named Page as a foreign policy adviser in response to a question from The Washington Post. Page has called for warmer American foreign policy toward Russia on many occasions — an unpopular view in the U.S. foreign policy crowd. He reportedly met Sergey Kislyak during the Republican convention in Cleveland, though Page denies any wrongdoing and claims he was not a Trump campaign insider. Jeff Sessions is the U.S. Attorney General under President Donald Trump. He recently recused himself from investigations related to Russian interference in the 2016 election after sources learned that, contrary to statements he made under oath in his confirmation hearing, he had spoken with Sergey Kislyak twice during the presidential campaign. Sessions insisted he met Kislyak during the Republican National Convention in Cleveland, Ohio, in his capacity as a member of the Senate Armed Services Committee. But an investigation conducted by The Wall Street Journal revealed Sessions used Trump campaign funds to fund his travel, and not Senate Armed Services Committee funds as he had initially claimed. When pressed by reporters, Sessions’ spokeswoman Sarah Isgur Flores refused to comment on his convention expenses. She maintains Sessions did not mean to mislead the Senate during his confirmation hearing and that Sessions met with more than 25 dignitaries last year as a senior member of the committee, including the British, Korean and Japanese ambassadors, in addition to Kislyak. The Washington Post contacted all 26 members of the Senate Armed Services Committee. Of the 20 who responded, every lawmaker said they never had an occasion to meet with the Russian ambassador. The Costliest Commander-in-Chief: Just How High Are Costs for this “Vacation President”?